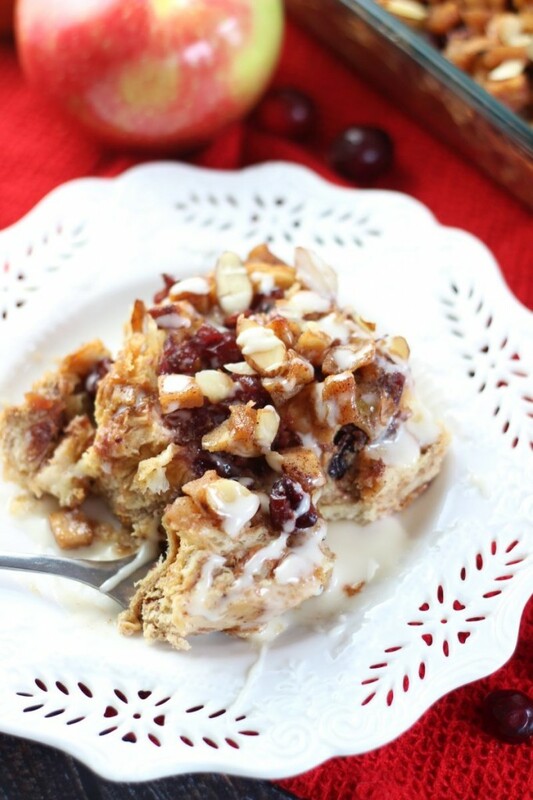 With chopped caramelized apples, whole-berry cranberry sauce, dried cranberries, and lots of spice, this croissant French toast casserole is easy to make, and a perfect weekend breakfast! Your weekend brunch is looking excellent. We ate this all last weekend for breakfast (and perhaps other meals as well – who doesn’t love breakfast for dinner? ), and we were so disheartened when it was gone. This casserole is one of those glorious ways that you can get away with eating dessert for breakfast, and it’s totally acceptable. I love that. Dessert for breakfast is one of the best concepts of life. Like, crepes! 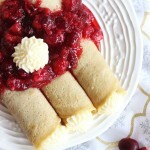 They’re the best – one of the easiest ways to have dessert for breakfast is crepes. 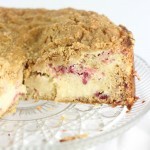 In this case, since the casserole contains a lot of fruit, we can almost consider it a ‘healthy’ breakfast too… even though it’s really dessert for breakfast. Add fruit to something, and it’s instantly ‘healthy’. Might be totally sugar-laden and saturated in butter, but if it’s fruit, it still technically contains a lot of vitamins and antioxidants, yes? This casserole also has 6 eggs in it. Therefore, contains lots of protein and healthy fats. Soooo, more healthfulness. Okay, all the “it’s kinda healthy” arguments in the world can’t really save this casserole from the fact that its an indulgent breakfast. The base is buttery croissants! But that’s what holidays are for, friends. Splurging. Go all out. 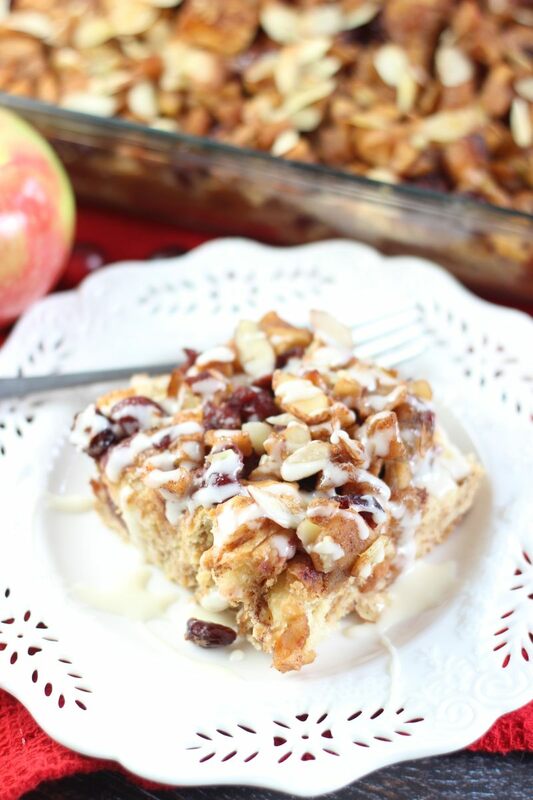 This dish is like an apple cranberry pie in a breakfast casserole. That’s just what it tastes like…. 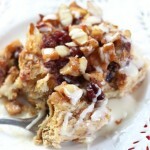 a perfect apple cranberry pie baked over flaky and buttery (albeit, store-bought) toasted croissants…. 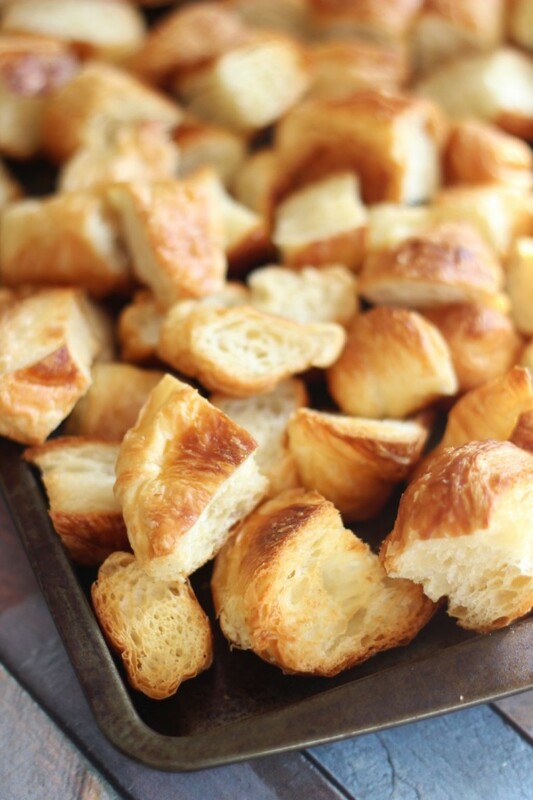 croissants that have been French toast casserole-d. You know, soaked in eggs and milk. 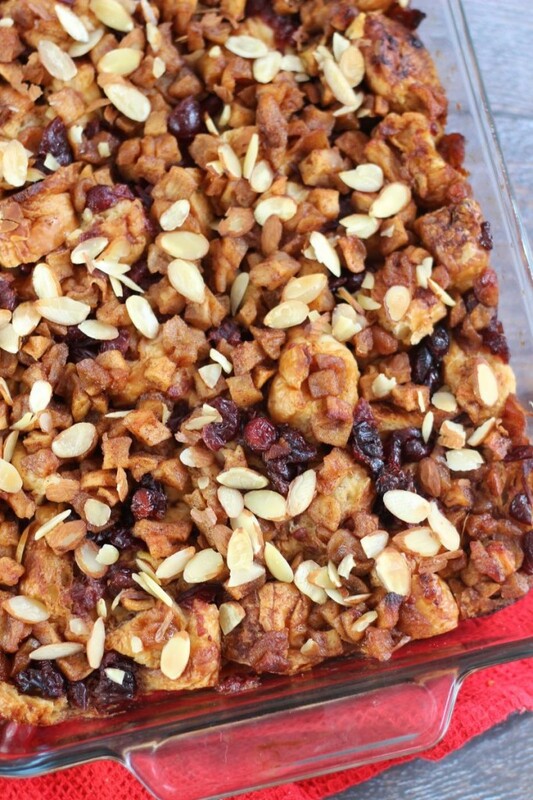 With three large apples chopped and caramelized in brown sugar and butter, a whole can of cranberry sauce, and sweetened dried cranberries that are plumped up in apple cider, this casserole is jam-packed with apple and cranberry. 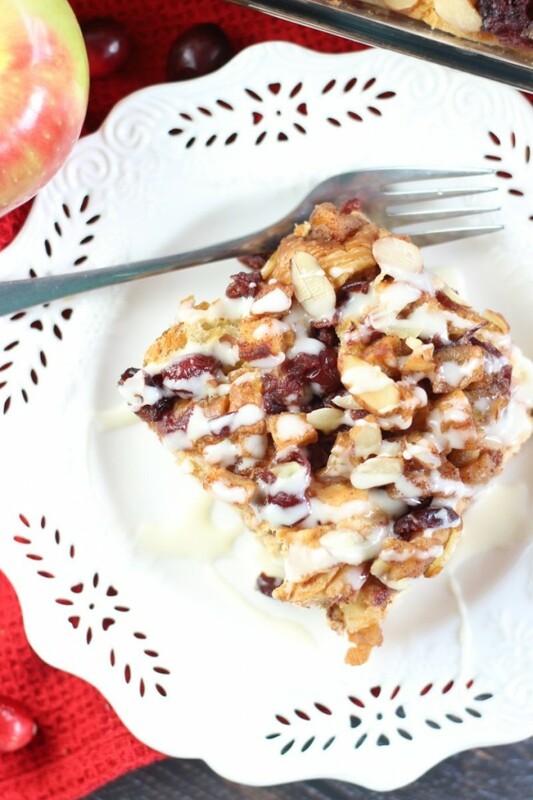 Layers of apple and cranberry bake over the soaked croissants, and are topped with a sprinkling of sliced almonds for a bit of crunch. 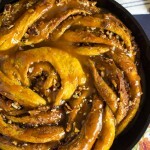 To top it off, an apple cider glaze is drizzled over the casserole while it’s warm from the oven! Let it seep and melt in all the crevices, and then keep on drizzlin’ some more! As I sit with my coffee this morning, looking at my lit Christmas trees, and with my favorite Christmas candles burning, I’m kicking myself that I didn’t save some of this casserole for breakfast this morning, and that I allowed us to devour it entirely last weekend! That’s okay, I will quickly whip up this instead. Place the mini croissant pieces on a large baking sheet. Bake at 350 degrees for 6-8 minutes, or until lightly browned. Keep the oven on. Transfer the croissant pieces to a lightly greased 9x13-inch glass baking dish, scattering them evenly. 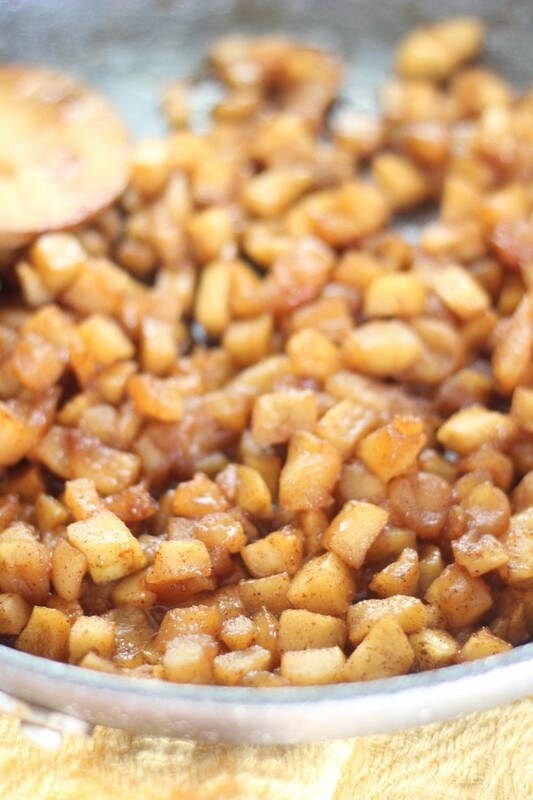 In a large saucepan over medium heat, combine the butter, apples, cinnamon, apple pie spice, cloves, and brown sugar. Cook for 8-10 minutes, or until apples are browned and beginning to soften. Sprinkle the dried cranberries evenly over the croissant pieces, and follow with the apple mixture. 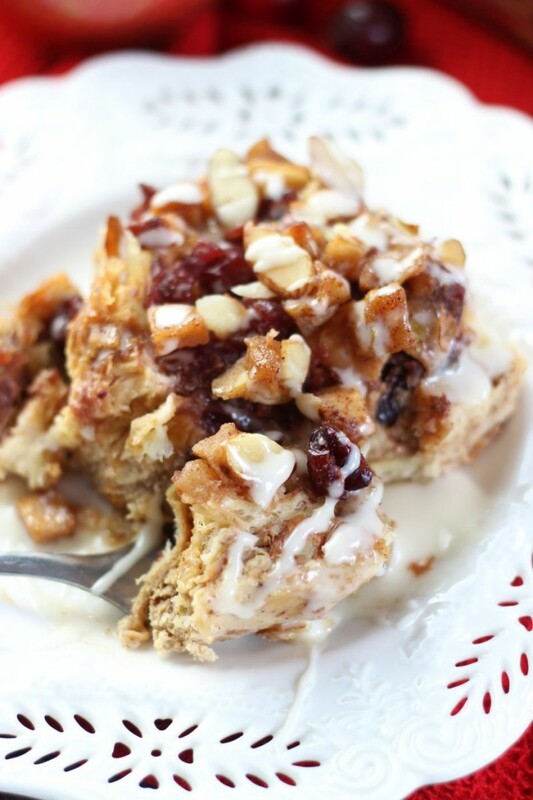 In a large bowl, combine apple cider, milk, cranberry sauce, and eggs, stirring with a whisk. Pour the mixture evenly over the croissant pieces. Bake at 350 degrees for 50-60 minutes, or until the edges are golden, and the casserole appears set. Prepare the glaze and drizzle it over the casserole. Serve warm, and enjoy! 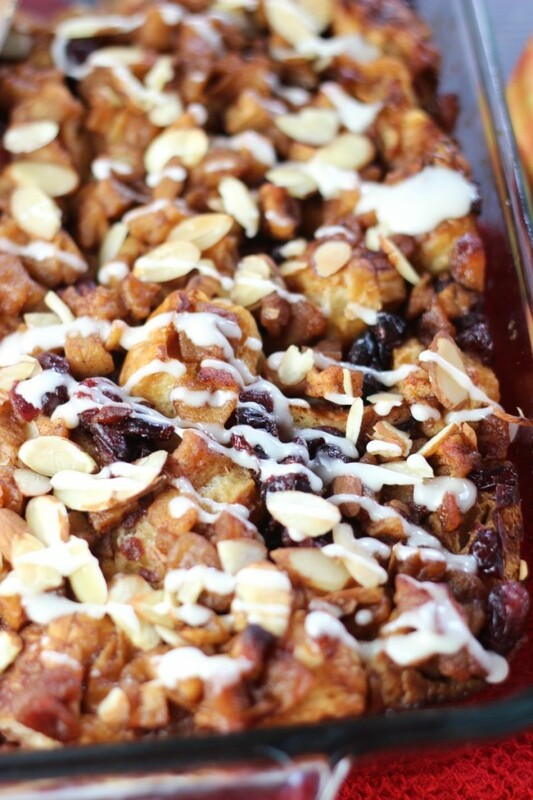 Wow, this french toast casserole is seriously next level! I’ve never had the apple/cranberry flavor combo, but I’ve heard it’s amazing- gotta try! Apple and cranberry are GREAT together! Must try! 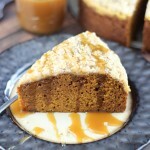 This looks absolutely beautifully decadent, and it’s something I can totally envision on our holiday table. Your brunch game is strong! And I’m with you: dessert for breakfast is SO good! Thank you!! 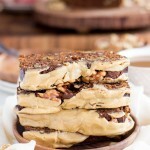 Second to decadent desserts, I love all things brunch! Who doesn’t love brunch though? It’s the best. Thanks so much!